The Satanic Science Publishing Mafia EXPOSED! Are they racketeering your research? Hot on the heels of the (now temporarily down) PIPA-SOPA bill debacle, comes another nasty threat this time specifically geared towards the free exchange of information. Lets break it down more simply this time. The entire world RELIES on science. More specifically, the world relies on science for the free exchange of knowledge and new discoveries, which are often vital to people's livelihoods and lives. If scientists can't get access to papers without giving up an arm and a leg, they will not have the most current information available to publish their own research, and this will hamper their ability to get grants and other funding in the future. Science itself will become stifled by the restriction of access to information by non-scientist corporate bureaucrats who run most of the for-profit journal publishers. Congressman Darrell Issa. Corporate lackey and political Snake of Sacramento. As a California resident myself and having never voted for him, I'd love to see this career crook impeached. P.S. 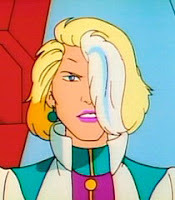 If she were younger I guess she could probably get away with that half-hearted Dr. Blight hairdo. But those of you in the Paleo-Sphere may ask, "I know that if this bill passes I won't be able to access my favorite titanosaur ontogeny papers, but how does this affect the wider world beyond dinosaur researchers"? Well it affects EVERYTHING. Consider medical journals. These days the medical journals of America (many of which are controlled by the same publishing conglomerates - Wiley, Elsevier, GSW, BioOne, and Bentham - that own most of the paleo-journals) are becoming ever more restricted in terms of access. If doctors already chafing under years of student debts have to cough up even more money just to access the latest research on life-saving new medical procedures for their patients, the prohibitively high costs of doing do for every relevant journal will mean that patients' lives are literally being profiteered to death. Today there are so many journals in which someone, somewhere in Iceland or Croatia, has pioneered a radical new natural cancer treatment or a highly effective remedy for slowing the progression of MS or Alzheimer's, but thanks to the absolute and often INTERNATIONAL chokehold that big corporate publishers have over peer-reviewed journals, the vast majority of top doctors in the relevant fields have NO KNOWLEDGE of this new research, since the prohibitively high costs of subscription mean that fewer doctors can buy this information, and fewer still circulate it among their colleagues! The patient who could have been saved by open-access which his or her own taxes helped fund, is killed by unavailability of information which his doctor could have used to save his life. That's right, die taxpayer die! To put is simply, the old pay-out-the-nose racketeering business model of science publishing is not merely unjust and apathetic, it's actually KILLING people. It's not just Big Pharma that's suppressing the research and getting involved in some very corrupt and dangerous dealings with suspicious lobbies - it's the publishers themselves. Elsevier (formally known as Reed Elsevier) is just one prime example. 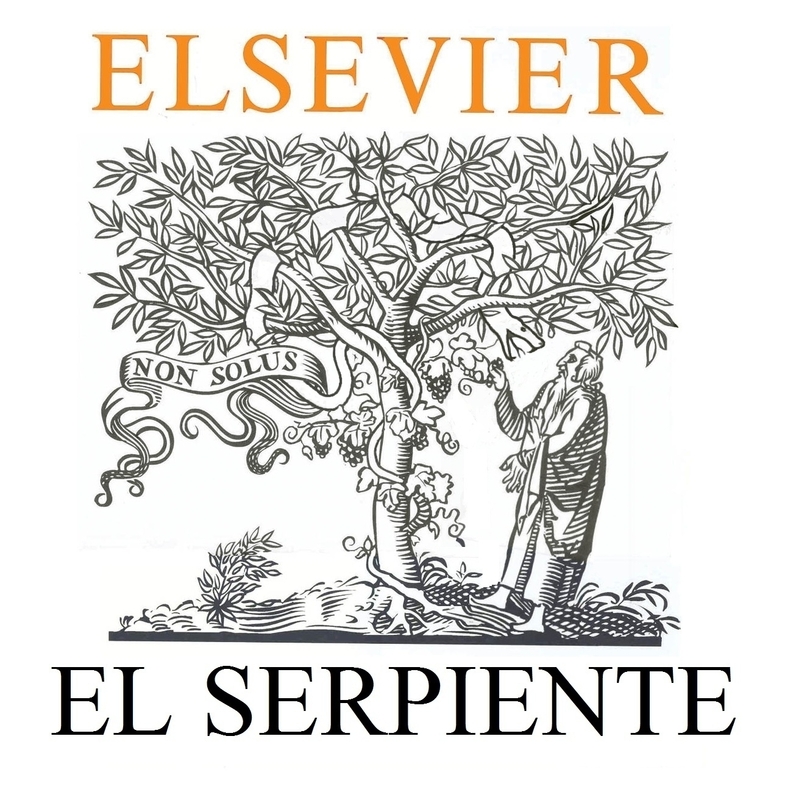 Elsevier is the giant of the scientific publishing world, with a history reaching back centuries and a truly international reach. Based in the Netherlands, they have a literal galaxy of journals and publishing interest all over the planet. They are also very influential in international politics and steering the environmental and foreign policies of both the United States and many European governments through supposedly "independent" think tanks. If you can name even one corrupt or inhumane sort of political business dealing, chances are Elsevier has plenty of fingers in that pie. "It can feel like a sick joke to connect each kind of weapon of death and injury displayed at an Reed Elsevier arms fair to a journal, book or article published by Reed Elsevier which describes how to treat it. But it is important to realise that it is not us making the joke. 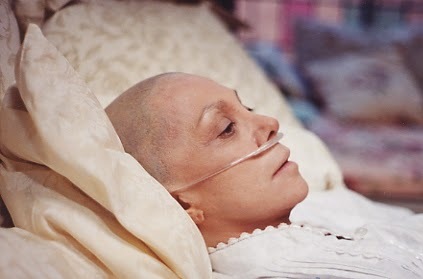 The sick joke – and it is sick – is being played on us by Reed Elsevier and the punchline is the unknowing complicity of medical professionals in the system of death and injury which they have dedicated their lives to opposing." "It has recently come to my attention that from 2000 to 2005, our Australia office published a series of sponsored article compilation publications, on behalf of pharmaceutical clients, that were made to look like journals and lacked the proper disclosures." "Congratulations and thank you for your contribution to Clinical Psychology. Now that the book is published, we need your help to get some 5 star reviews posted to both Amazon and Barnes & Noble to help support and promote it.... For your time, we would like to compensate you with a copy of the book under review as well as a $25 Amazon gift card. If you have colleagues or students who would be willing to post positive reviews, please feel free to forward this e-mail to them to participate... "
* Suing their own customers (in this case libraries!) for disseminating information from Elsevier journals they had ALREADY paid for! 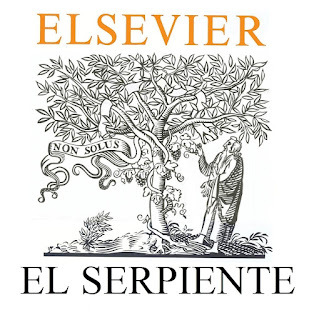 "The publishers that have filed the lawsuit [Elsevier, Springer, and Thiele] want to prohibit this service on the grounds that they themselves offer these articles online, although usually for about 30 euros per article, several time what access through the ETH library costs. 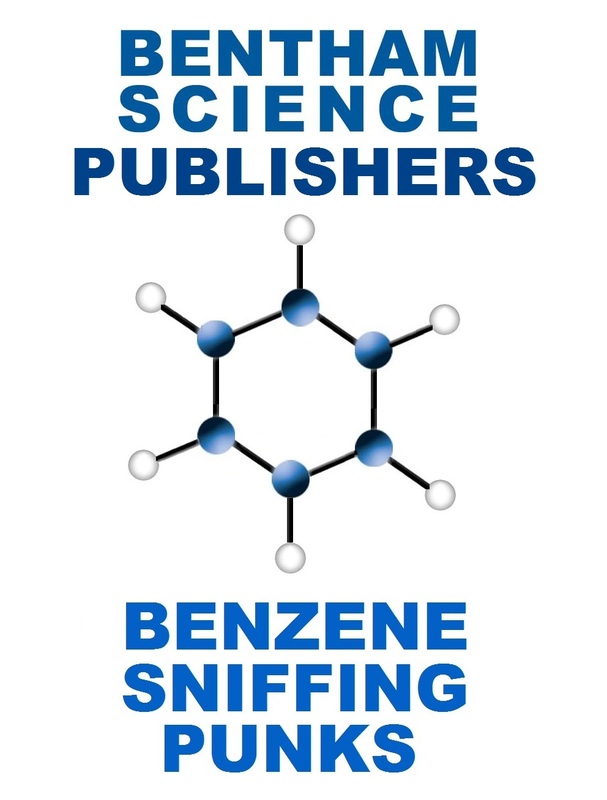 By their suit, the science publishers want to subvert a provision of Swiss copyright law that explicitly allows the copying of excerpts from periodicals." 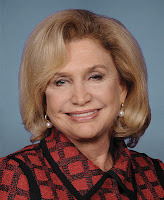 "So, given the history of their campaign contributions to Rep Maloney, I’m not really surprised to find that Elsevier’s fingers would be all over this bill and Rep Maloney’s defense of it. We (my colleagues at PLoS and many others) have spent over a decade fighting to secure public access to publicly funded research. We finally start to make some progress – imperfect as the NIH Public Access Policy is, it is an important step in the right direction. And what happens? A member of Congress who faces no threat of defeat in the upcoming election disgracefully sells out the public good in exchange for some measly campaign contributions, and then doesn’t even have the decency to defend her actions with her own thoughts and words." If the RWA passes, you can say goodbye to science as we know it. Everything will be at the behest of the publishing corporations and their cohorts in big pharma and big oil. And the profits there publishers gouge from their subscribers are ridiculous, considering that scientists who publish in big corporate journals are forced to give up the publishing rights to their written papers essentially for free and don't get to see a dime of that money! What does it all mean? Yes, publishers have a right to make a living. Not only that, but they have a right to make as big a profit as the market can bear (though of course when they form a cartel that distorts the market monopolistically, that changes things). When you pay $37.95 to download a PDF from an Elsevier journal, $13.56 of that goes straight into the pockets of Elsevier shareholders. When you pay $3000 to have your submission to an Elsevier journal appear as open access, $1072.20 of that goes straight into the pockets of Elsevier shareholders. When your library pays $1.7m for a bundle of Elsevier-journal subscriptions, $607,580 of that goes straight into the pockets of Elsevier shareholders. When you or your library pays Elsevier $23783 for any reason, that is enough for them fund Representative Caroline Maloney’s $8500 bribe to co-sponsor the evil Research Works Act, out of their profits alone. You just have to ask yourself whether that’s where you want your money going. 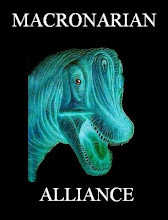 The good folks at Sauropod Vertebra Picture of the Week have already exposed the massive corrupt conspiracy behind RWA, that infects both sides of the artificial "this or that" political spectrum in America. Read about it here, here, here, here, here, here, here, here, and here. Ooooh, the outrage! Lecturing others on efficiency when he can't even make his company's website user-friendly. My goodness, so many presidents and CEOs.... what a wonderfully "efficient" business structure, Mr. Nick Foulbreath! No wonder they have such a bad name... the only way they can generate 30%+ profits for their shareholders and pay top salaries to so many superfluous executives is to literally GOUGE your last dollar out of you for even the rights to access just one article! And Elsevier is not alone in their attempts to monopolize science for obscene personal profits. There are plenty of other heads on this anti-scientific corporate hydra. J. Wiley And Sons ("Whiney"). Extorting professors and strangling students for 42% profits ever since Thomas Jefferson was in the White House. Taylor and Francis - spreading Corruption on Earth worse than a Jinn since Queen Victoria's reign. Even the formerly ethical and independent Journal of Vertebrate Paleontology is now their slave. Routledge publishing - throwing freedom of access into the gas chamber since Queen Victoria's reign. 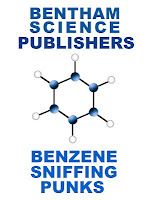 Springer, AKA Scammer publishers. Hiding academic gift horses' bad mouths from unsuspecting subscribers ever since Richard Owen invented the word "dinosaur". GeoScience World (GSW) - they've gone through a few logo changes, and acquired some annoyingly controversial sponsors aside from the usual gang of western Big Oil conglomerates. It doesn't matter how patriotic of an American you think you are...whether you're publishing in GSW or subscribing to it, you're all bowing to King Abdullah (and Saudi Aramco). Of course this is all harsh, but it's meant to be a real wake-up call. 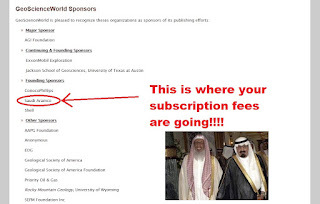 I'm not sure the average researcher on a graduate stipend really has much time to worry whether their subscription fees are being funneled towards international terrorism, but I'm sure they do care that their professor's hard work is being expropriated and then hoarded for 30-40% profits by powerful international publishing cartels. Some of the copyright terms the big publishers impose on scientists are downright Orwellian. Losing any and all rights to reprint your own work in a different journals, or even to pass out free copies to colleagues from other universities. If they catch you doing this with a journal you ALREADY paid for, you will still be sued, and probably end up in prison for a few years. Remember, these publishers are worth billions of dollars and the average professor makes nothing from giving them all the rights to his own work - plus they can sue you for so much as making a copy of your own paper and giving it to a friend for free. Greg Paul only wishes he had that kind of legal muscle. Mike Taylor and the others at SV-POW make a great point when they urge people to write to their congressman. But with all the junk mail that those dismally unpopular politicians are flooded with every week, I doubt it's a very effective strategy. Especially when the issue at hand is something that barely gets any media attention, and thus probably is not the subject generating the most mail. I suggest a more direct approach, to cut off the head of the Snake. Write to the scientists themselves. Every time I talk to paleontologists at SVP, I know that a good number of them will either be people who regularly publish in closed-access FOR PROFIT journals, or donate their time for free as peer-reviewers for those same said price-gouging journals. While I personally consider such a gift of time to such monstrous corporate thieves to be little more intelligent than giving away extra money to the government as a charitable gift on top of your compulsory taxes, in the vain hope of helping pay down the national debt.... that doesn't mean that we shouldn't express our dismay at those who continue to contribute to such corrupt journals and publishing houses. Even if Taylor and Francis has bought out part of the SVP, and its flagship publication, the JVP, we can still hit them where it hurts: the reputations of their "scientific" collaborators. Forget writing to your congressman - write to your favorite scientists! Write to all the people whose papers you have wanted to read, but couldn't because they are kept under lock and key by greedy publishers who demand a subscription whose price is shooting up far faster than silver. Write to Jack Horner, whether you agree with 'Toroceratops" or not, urging him not to publish in JVP any longer. Write to Jose Bonaparte and Bernardo Gonzalez-Riga urging them NOT to publish any more papers in Elsevier-owned journals like Cretaceous Research (as was sadly the case with Ligabuesaurus). Write to Octavio Mateus not to publish in Systematic Palaeontology, another locked-access Elsevier journal. 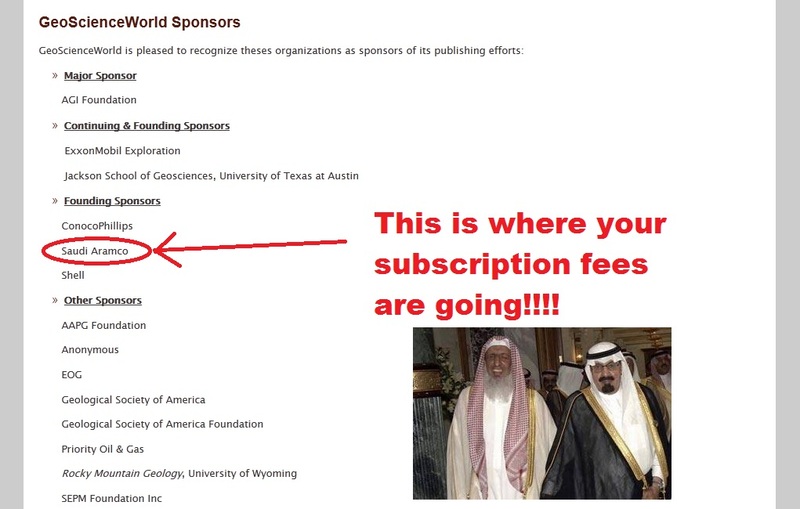 Write to Jeffrey Wilson not to publish in Paleobiology, which is now the property of the Saudi-funded GSW. Write to Greg Paul telling him to stop publishing in GAIA, Paleobiology, or other locked-access journals that don't contribute to the free flow of scientific knowledge across borders and campus walls. Let your scientists know that you won't stand for them giving away their rights to their own research only to have it locked away from the public to line some greedy publishing bureaucrat's pockets. Tell them they must publish in open access journals like PLoS One, Palaeo-Electronica, Acta Palaeontologica Polonica, etc. to retain any credibility as ethical scientists. Let the membership and the board of directors of the SVP know that RWA and the big corporate journals are hurting science and often hurting people, in ways that fossil-poachers simply can't. Write to your scientists. If you're in a different field like physics, chemistry or medicine, so much the better. They don't have to be just paleontologists. Write to ANY scientists who publish in closed-access journals owned by Elsevier or any of the other academic publishing conglomerates backing the vile RWA bill. And if they don't listen or give a bad response to your emails, then write them up. I will personally list the names of those who are willing and unrepentant collaborators with ElSerpiente or any of the other gougers. Nothing is more damaging to scientists in academia than a loss of reputation - and the threat of this may finally get them to abandon the very publishing houses that are so used to abusing and enslaving the researcher. Forget a mere toothless boycott, we need nothing short of a show trial. Scientists who continue to allow unscrupulous non-scientist bureaucrats to steal and hoard up their research for sky-high profits are just as bad as the corporations they are supporting, enemies of science, and deserve to be exposed and denounced as such. If they can't afford the publication fee for open-access journals, there is always Acta Paleontologica Polonica, which can do it for free, or they can also use research grants to cover open-access publishing fees. There is no victory without intentional planning and sacrifice. If we really expect to bring Elsevier and its ilk to their knees, or even to their sense, then the scientists have to stop publishing papers in their journals, PERIOD. To really get the house of cards to fall, you have to remove the struggling exploited academics at the bottom of the pyramid. And for those that sell us out, heads will roll at the next SVP. Wake up, O people of science and learning. Raise yourselves out of your deathly torpor, break your shackles, cast off your chains! Now is the time to reject the cruel coercion of the Serpent in scientists' clothing. I say once again, wake up! Together we can drive the point clear to the Robber Barons ruining the free progress of science and ideas: Wer Beim Elsevier Kauft ist ein Verrater! The Captain Planet comparison is ridiculously funny; also, interesting, given how all CP villains are personifications of corporate hegemonies as pollutors ... just like big publishing. I'm sure this wasn't unintentional. @ qilong: Yes the Captain Planet reference was totally intentional. Elsevier embodies much of the worst in corporate greed that we see in the polluters caricatured in Captain Planet. @anonymous: well I must say that having picked up what I know of German from an eclectic and rather haphazard mix of sources over the years, I have to admit I did not recall that the National Socialists specifically used such a slogan and applied it to Jews. My bad... I just looked it up and actually your point is a bit off... the Third Reich version says "Volksverrater" not simply Verrater. They had this racial concept of the "folk" being foremost which obviously wouldn't make any cohesive sense if applied to the paleontology community. My main point was that Elsevier and those who support it are in essence betraying science by participating in its monopolization behind paywalls. Not to make any sort of politically charged statement. To the best of my knowledge, Elsevier is run by a pretty diverse board of directors (look above). ننصح عملائنا بالتنظيف الدائم باستعمال المياه والصابون، فهما من أكثر مواد التنظيف التي تكفل القضاء على الصراصير. أيضًا التخلص الدائم من القمامة، التخلص من بقايا الأغذية، تصليح الاستبدال الفاسد.